Something about this time of year makes it really hard for me to keep up with my posts! So I’m a little behind on my race reports—but not too much! 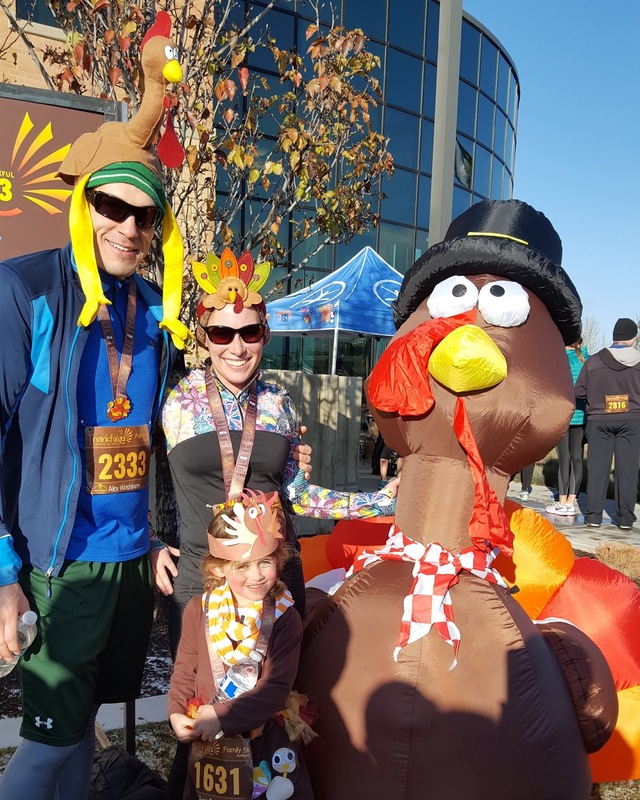 My goal was to get this one, my race report on the Thankful Thirteen 5K, published before Christmas. And I’m glad I’m accomplishing that! 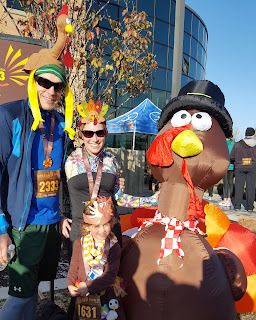 My favorite Thanksgiving tradition, after spending time with family eating tons of food, is running a local turkey trot. 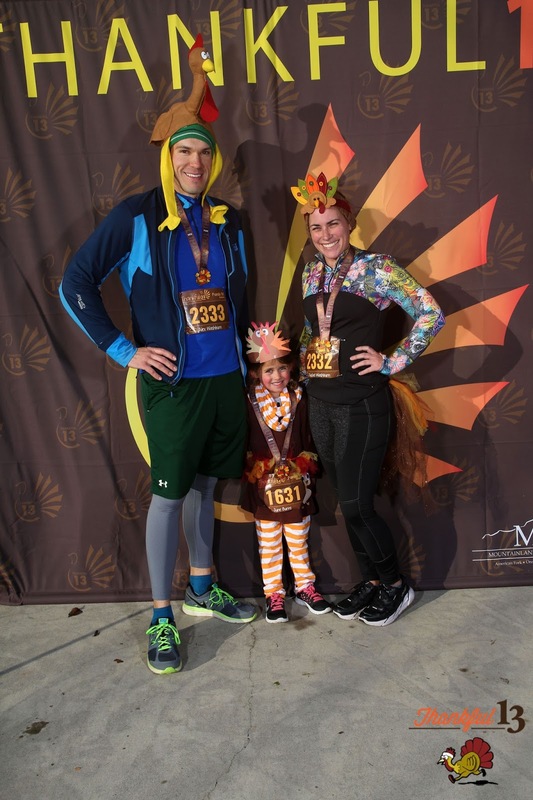 And this year, my husband, my daughter, and my friend Tobi wanted to run a turkey trot as well. 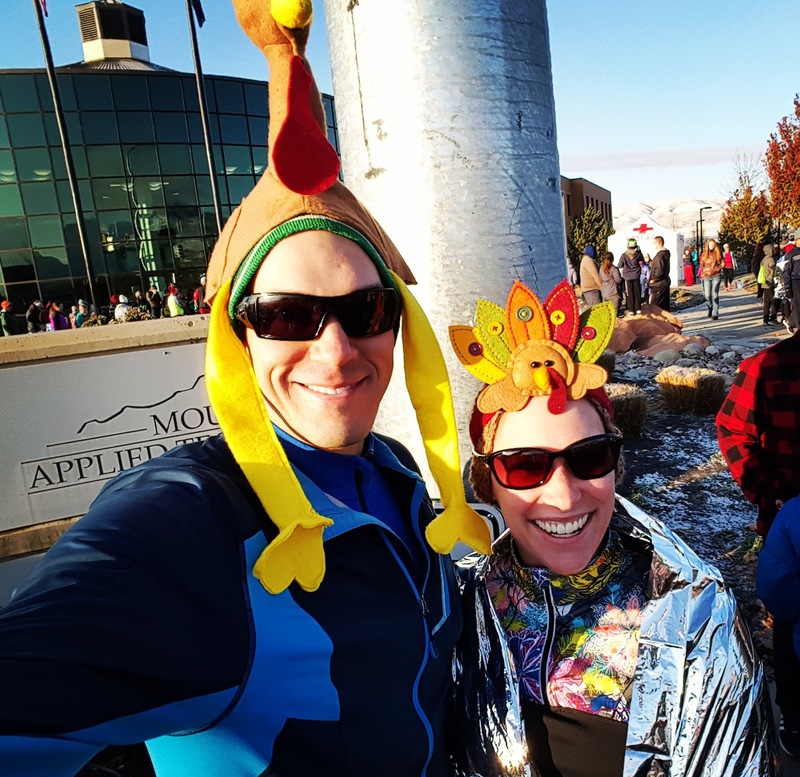 Utah has so many races going on all the time, and Thanksgiving offered many different turkey trots in so many different places. 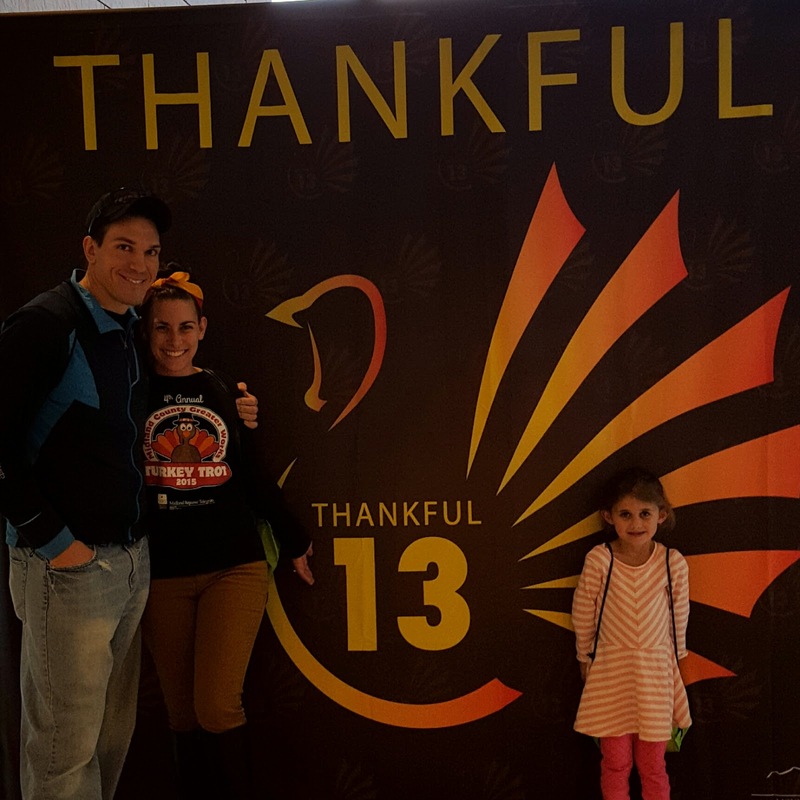 Since we loved the other Runtastic events we’ve participated in thus far, we registered for their turkey trot, the Thankful 13 (but the 5K). 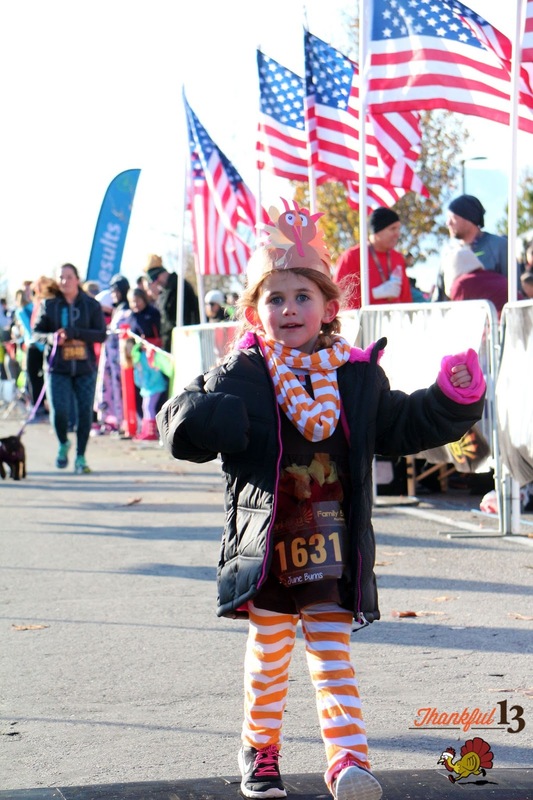 There’s something about waking up early on Thanksgiving morning just to get all bundled up for a race. 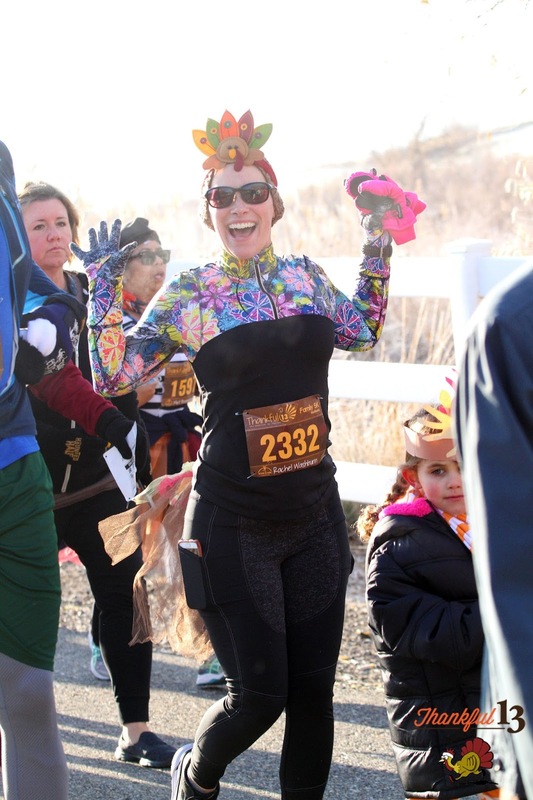 This was my coldest turkey trot yet, but I wore my Skirt Sports tough girl top with my toasty tights and I was plenty warm during the run. With it being a holiday, we dressed up! My daughter and I wore turkey tutus (hers was covered by her jacket), and all of us wore a turkey hat of some sort. These attracted quite a bit of attention to us as we all ran together, turkeys securely placed on our heads. 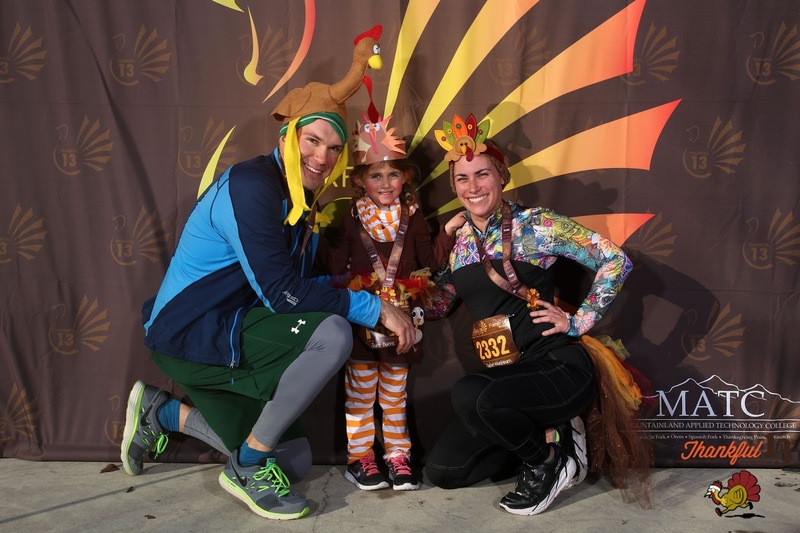 We had a great time at this race! We stuck together with our 5 year old, and she rocked this run. During registration, we were asked to share some things we’re thankful for. We were excited to see that all along the course were signs of displaying those very things we runners submitted. I even found a sign that displayed Alex’s thankful comment (he said he was thankful for me J). These signs were a great reminder of what Thanksgiving is all about. When we saw the finish line arch, June kicked it into gear and she ended up shaving off 30 seconds from her last 5K time! She did great, and we had so much fun running with her. 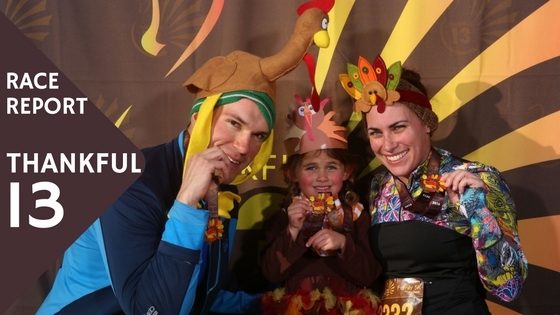 We received turkey shaped finisher medals full of the things we are thankful for. We also scored some pumpkin pie and hot chocolate, which was really nice to enjoy while we waited at the finish corral to cheer on our cousin Tobi. She also did great, especially in the colder weather! 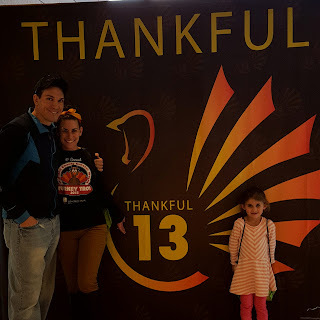 We are thankful for our family, for the gospel of Jesus Christ, for our nice home, to live by the beautiful mountains, to be from Texas, to be able to run and exercise, for delicious pie, for the saving ordinances of the temple, to live so close to so many temples, for good food, for good friends, for fun times, and for so many more things! I am thankful to have such a sweet daughter who is always striving to do her best, and to have the most incredible and kind and loving and sweet and smart and caring man as my husband forever. Yet again, Runtastic put on a fun, memorable event. There was even a beard contest at the finish line party! The music was great, the photo opportunities were fun, and the after race treats were quite festive. We had a great time shopping at the expo too! 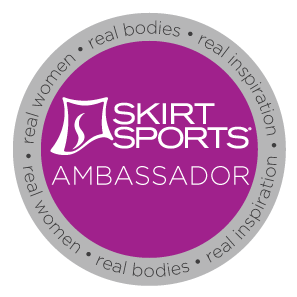 There was everything from Damsel in Defense to running shops to KT Tape to Altra Shoes to LuLaRoe clothing represented. We are already looking at the 2017 Runtastic calendar to plan out our racing for next year. Well done Runtastic. We're thankful we got to run this race.